Home > Time Booksellers > Batavia. Batavia. : Betrayal. Shipwreck. Murder. Sexual Slavery. Courage. 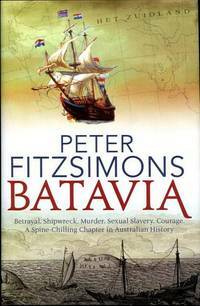 A Spine-Chilling Chapter in Australian History. Publisher: (North Sydney), William Heinemann, (2011).